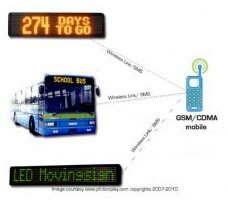 We are among the leading manufacturers and suppliers of Bus Destination Display System to many local as well as national clients. We have been in this field for a number of years now and have a large number of loyal clients to our credit. These systems are known for their legibility even from a far distance. Kindly get in touch with our sales executives for further details regarding this product.